It takes a lot of work to expertly craft your small business’ reputation and brand online. While crafting an outstanding online presence can take months, if not years to accomplish, establishing the trust of a loyal customer base makes all of your effort worthwhile. However, your business’ brand can easily shatter if not handled with care. Persistent rumors, poor public behavior, bad press, or even malicious attacks by your competition can all cause lasting damage to your brand. This is especially true online where anonymous Yelp reviews and Facebook complaints can leave other potential customers wondering about the quality of your products and services. Fortunately, Local Fresh has the tools and expertise needed to help any small business protect its reputation and brand online. Here are a few tips that can help ensure that when a customer Googles your business, you’ll approve of the results he or she receives. Respond quickly, especially to negative reviews. Frailty, thy name is online reviews. 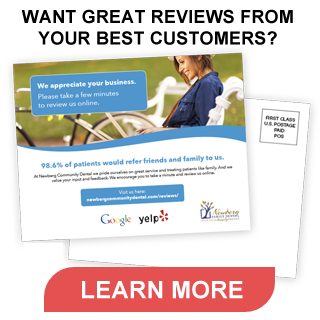 Whether you run a Christmas tree farm, dental office, restaurant, or manufacturing company, online reviews can be a boon or a bust to your business. Every business owner understands the combined feelings of anger, panic, and depression that comes from reading an unjust or inaccurate 1-star Yelp review. These types of reviews can seem especially damaging to business owners who’ve just started building their brand online. In reality, bad reviews can provide a great chance to actually improve on your business’ brand. How you ask? Simple – respond! By simply responding to a poor review, you demonstrate to the reviewer and anyone else watching that you’re listening to what your customers have to say. If you offer to fix the problem a customer is complaining about, you’ll do even more to improve your image online. While many complaints can seem unjustified, make sure to always respond using a calm, cordial, and professional tone. Potential new customers researching your business online will be impressed that you not only listen to complaints, but that you also take steps to politely address them. Leverage a happy workplace to your advantage. When a potential new customer researches your business, Yelp reviews and Facebook posts won’t be the only information that pops up in a Google search. It’s likely he or she will also discover reviews left by your employees on sites like Glassdoor, Great Place to Work, or Indeed. If your own employees have nothing nice to say about your company, you can bet that many prospective customers will go looking elsewhere. While some customers will simply be put off from the perceived poor treatment of your employees, others will assume a poor employer will also provide poor services or products. If you don’t know whether your employees enjoy their jobs, ask them! It’s great to make sure that customers and clients feel appreciated, but it’s equally important that your staff also feels their hard work is valued as well. Creating a healthy, pleasant, and fun place to work can not only improve employee morale, it can also boost productivity and profits. Always keeps the door of communication open between you and your employees by letting them know you’re always willing to listen to their concerns. Establishing your brand online requires having a solid foundation to build upon. No matter how many positive reviews or “Likes” you receive, your brand will suffer if your business’ website is out of date, difficult to navigate, or not mobile compatible. You only get one chance to make a good first impression, especially when it comes to how your website functions. Studies have shown that it takes users about 50 milliseconds (that’s just .05 seconds) to form an opinion about whether they like a website and want to stay or leave. One look at an outdated, poorly responsive website and the majority of prospective new customers will simply click their way to a competitor’s site. Make sure your website has the basic covered, such as contact information, a listing of products and services, a brief “about” page, and a home page that features a compelling call to action. Local Fresh can redesign or update your website to help improve customer interaction and drive sales. After all, the stronger an impression your website makes, the more customers your business will attract and convert into sales. Establish your presence on social media. The more you promote your brand, the stronger your standing will become with the target audience it serves. Think of social media as a means for introducing your business and brand to a new group of prospective customers, and as a way of establishing goodwill and positive feedback from your existing customers. Additionally, the bigger your presence becomes on social media, the more equity you build up from positive interactions with your customer base that will help insulate your brand from poor reviews or press. Social media makes an excellent platform for showing the playful side of your business. Funny Tweets, Facebook posts, Instagram photos, and the like can generate positive feedback and “shares” that can increase brand awareness to new people. Charitable and community driven efforts can also be highlighted through social media to show another side of your business. Overall, social media provides you an opportunity to be more open and honest with your target audience than what’s easily achieved through a mission statement or company motto. As an online marketing firm for small businesses, Local Fresh understands how to build your brand online. From managing social media accounts to website design and optimization, our team of small business marketing experts have the knowledge, experience, and skill needed to help you create the type of online brand needed to succeed. To learn more about how Local Fresh can improve your online marketing presence, click here.